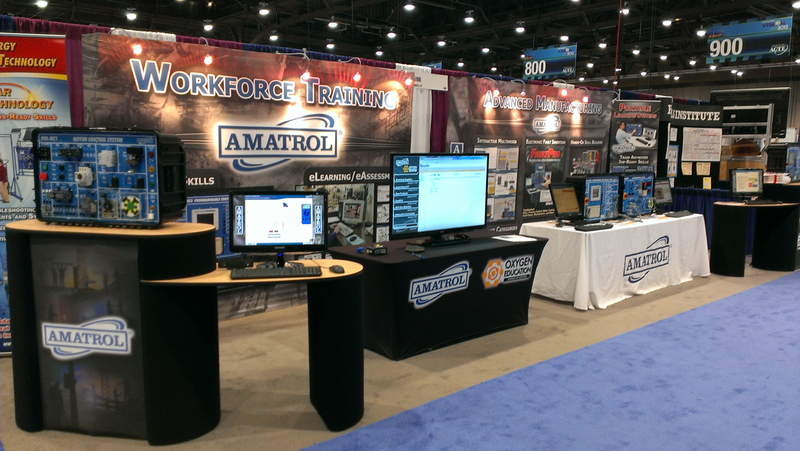 Join Amatrol at ACTE’s CareerTech Vision 2015, in New Orleans, November 20th & 21st! We will be demonstrating several new products as well as showcasing Amatrol’s eLearning courses on tablets! Our training consultants will be on hand to listen to the vision that your have for your program and show you options to make that vision a reality using our proven learning systems. You can find us at the front of the exhibit hall in booths 401, 403, 405, & 407. The exposition hall is open Friday November 20th and 21st in New Orleans, Louisiana at the Ernest N. Morial Convention Center. We’re looking forward to visiting with you and showing you all of paths we’ve developed to lead learners down the road to a brighter future!